OSHA requires person who were Personal Protective Equipment (PPE) Respirators commonly known as N95 particulate masks to go through fit test training yearly to insure that they can maintain a secure seal and are instructed in the proper procedure for donning and doofing their PPE. We utilize a qualitative fit test procedure for ensuring a secure seal. Persons being test need to refrain from eating, drinking, smoking or chewing candy or gum up to 30 minutes prior to their test. A testing agent called Bitrex® (denatonium benzoate) or Saccharin Solution Aerosol is used and if a seal is not made the testing subject will notice either a bitter (Bitrex) or sweet (saccharin) taste and the mask will be adjusted. They will then perform a series of exercises to ensure that the mask maintains a proper seal. If you have facial hair, severe facial deformities or are missing dentures, you may be unable to pass a fit test. If you have asthma or other breathing disorders you should bring your medication with you to the test. 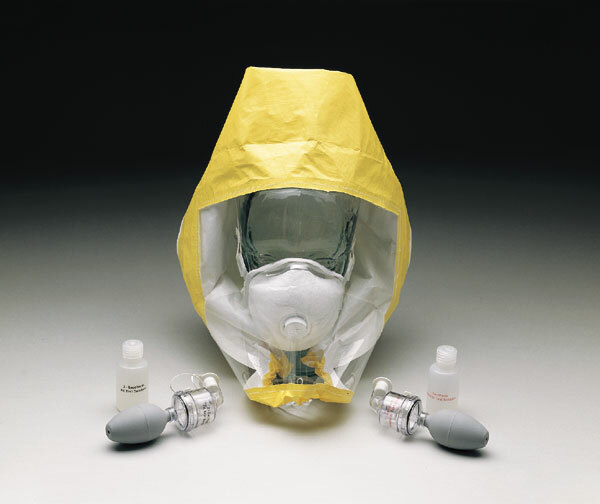 Download the N95 Respirator Training Medical Questionnaire.